Meatball Calzone by Stefano Foods — I Am Tired of Cooking! 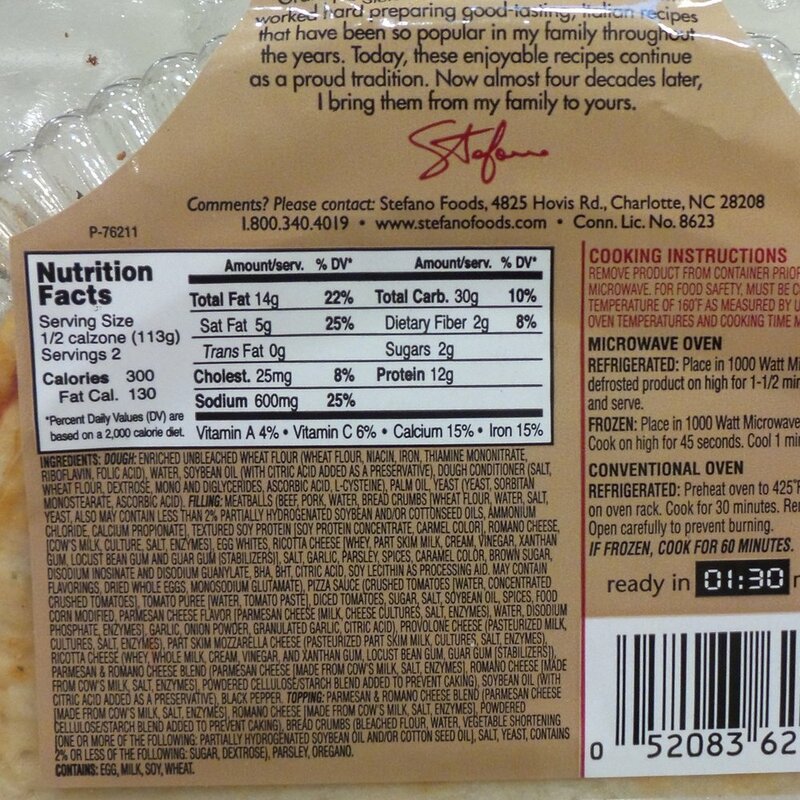 Stefano foods has changed the packaging and the conventional oven heating instructions. Instructions have changed to an oven temperature of 375 and heating time of 15-18 minutes. Don't burn your calzone! Kids say it is still delicious. The meatball calzone by Stefano foods is a kid favorite. A calzone is like a pizza that is folded over, so instead of ordering a whole pizza, you can enjoy an individual portion. The golden pocket is filled with cheese, pizza sauce and meatballs. The bread is seasoned with Italian herbs and is lighter than regular pizza dough. There isn't a whole lot of sauce which allows the flavors of the cheese and the meatballs to come through. The calzone heats up in the microwave or in a conventional oven. The biggest challenge will be with portion control as Stefano Foods clearly points out that the calzone serves 2. Serving a half calzone with fresh salad greens and fruit will help the consumer forget that there is another half, but I have seen a whole one disappear (teenagers). I was curious about how 1/2 of the meatball calzone compared nutritionally to 1/2 of an Italian Sausage personal pan pizza and discovered that nutritionally, they are comparable, which makes perfect sense when you picture the calzone as a folded pizza. However, I was shocked to find out that a serving size for a personal pan pizza is considered to be 1 slice! Why do they call it personal? I thought you were supposed to eat the whole thing! The calzone is available at Walmart in the refrigerated section near the deli. It is a great buy at $2.50. Stefano foods offers other varieties of calzones in addition to the Meatball Calzone (Pepperoni Four Cheese and Philly Cheese Steak), but I haven't tried them yet.